Happy 2019! I just wanted to take a moment to thank you all for welcoming back Little Pink Studio this year, for all of your love and support, and sense of community. I’ve really enjoyed getting back into LPS, and creating things again, and have much to look forward to in 2019. I have a lot of fun things planned for instagram, this blog, and my newsletter this year, so here’s to a fresh new year! This super sweet postcard image is for you, just right click and save it to your computer. Mush love and happy wishes for a wonderful new year! I’ve finally started on my little vintage hankie journal, and I decided to just make it a simple list journal. 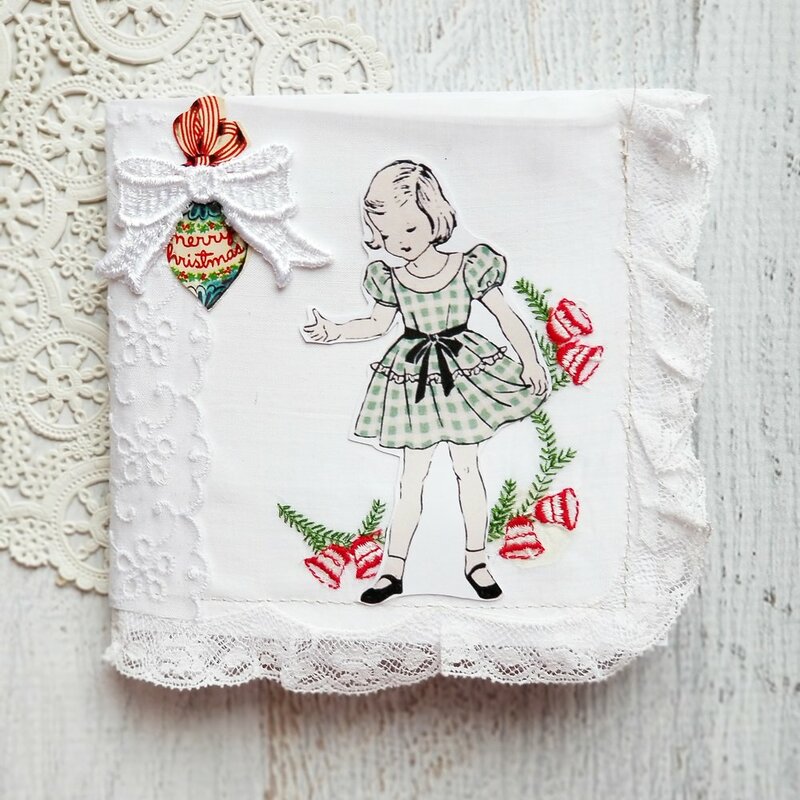 As I showed on instagram, I used one of my vintage Christmas hankie journals, and did the basic construction via the instructions included. 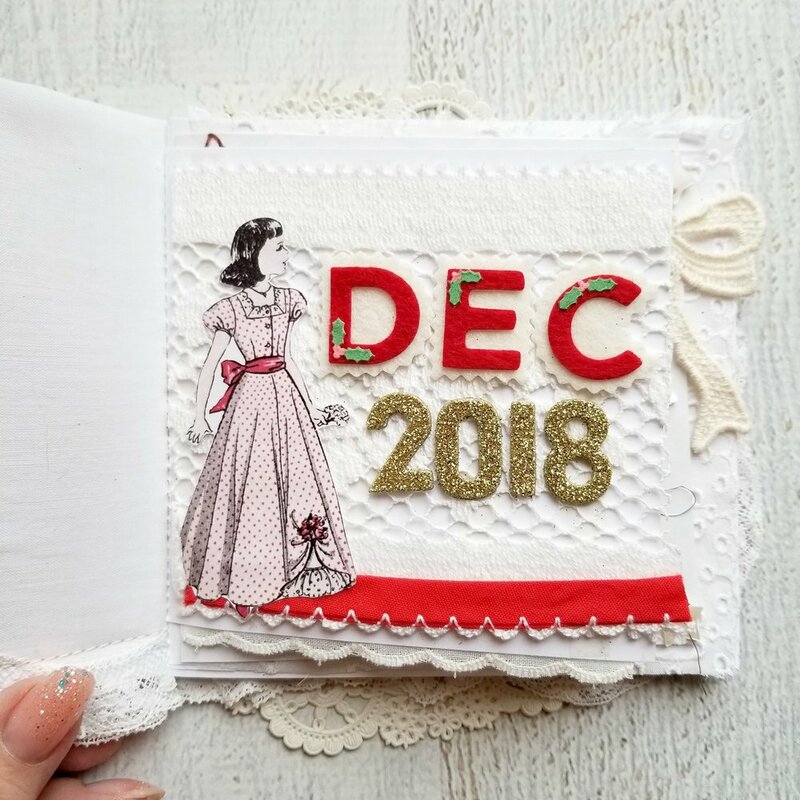 Next up I added a little title page using some vintage lace, one of my pattern girls (reduced 50%), some felt letters from Martha Stewart that I have hoarded for years and wish I had 10 packages of, and some gold glitter stickers for the date. Next I started on my list pages. 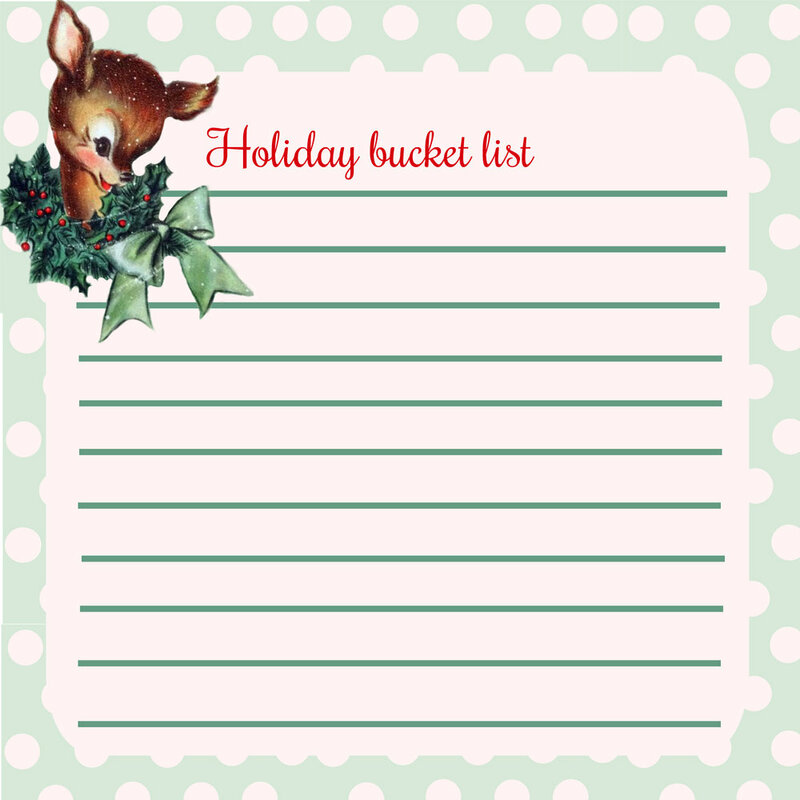 My first two lists were my bucket list for the holiday season, and my favorite Christmas movies. (please ignore my messy handwriting!) 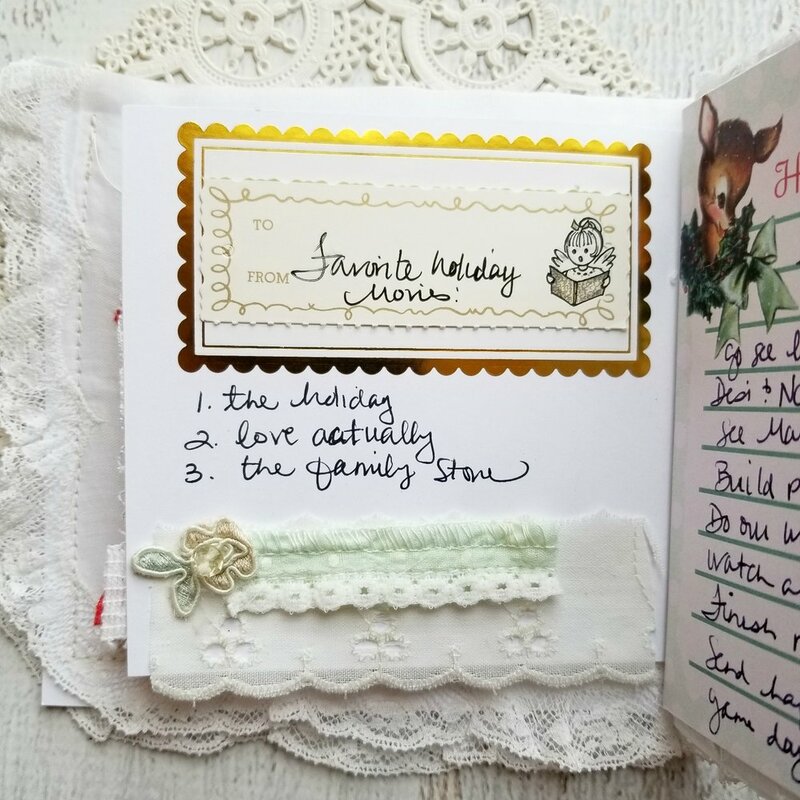 For this page I covered the cardstock with some vintage lace, and then added a printable I made to write my list on. I finished the page with some button stars and wire, and a vintage bow applique. Easy peasy. I’ll add the printable for you at the end of this post if you’d like to use it as well. Simply right click and save it to your computer. For the movie list page I just added some labels, and some bits of vintage trim to my page. Honestly, I don’t love how this page turned out, but that happens sometimes. Ha. It’s more about the process and the creative time than perfect pages, right? I will probably make some more printable lists for the journal and I’ll share them here on the blog as well. Also, if this is sized wrong for your journal, you can easily resize it. My particular hankie journal is little, so I reduced the size to 4.5”, and it worked perfect. I’ll share more pages as I get them done, I’m thinking I will probably try to get this and my December journal finished right after Christmas in the down time before the new year.